Whenever I run into a brand I wasn’t familiar with before, my curious mind just can’t quit exploring it. There are times, when I lose my interest somewhere halfway through and just keep doing whatever I was up to. But this wasn’t the case, when I spotted NetWork’s Fall 2013 ad campaigns. I got totally fascinated by all the clothing pieces featured in the ads as well as the approach the brand used to present their Fall/Winter collections. Read on to get acquainted with this cool brand and what it creates. NetWork is a Turkish fashion brand that has been functioning since 1999. It is a creative and dynamic company “that symbolizes today’s era of information and technology by putting an emphasis on the professional’s need for communication—the brand’s target audience group”. In 2012 NetWork introduced three new lines with each being assigned a particular direction. Network Zone, Network Touch and Network Black continue putting the brand’s key fashion concepts into life. NetWork Women tapped Julia Stegner for its Fall/Winter 2013 campaign. The German beauty rocked a number of elegant and chic outfits, walking on the streets Paris. Bohemian dresses and formal skirts along with skinny pants and timeless leather accessories create a very appealing image of a modern lady, always busy yet in vogue. I totally love the belted fur vest that Julia donned over a patterned frock in gold. An elegant black tote and a wide-brimmed hat perfectly completed this delicious look. 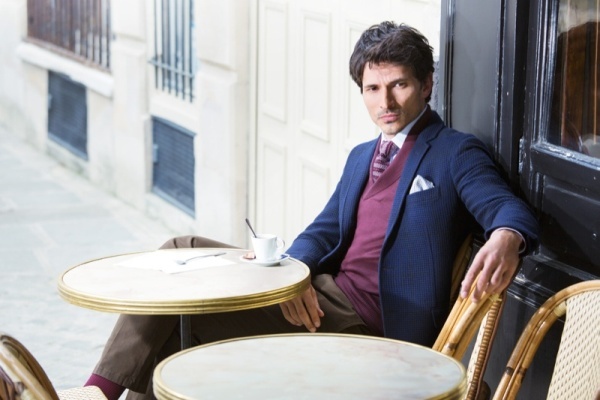 Andres Velencoso Segura starred in the ad campaign for NetWork’s men’s line. Both models were lensed by Oliver Spies. The leading Spanish male model also posed on the streets of picturesque Paris. Image that he was supposed to deliver (which he managed to do) had to do with a gentleman, young and handsome. A mysterious stranger, who charms you from the very first sight – this is a guy any lady will fall for. NetWork had an intention to provide an easy access, both for men and women, to sophisticated and exquisite clothing pieces. To check whether the brand has fulfilled its mission, browse through the gallery!